Congratulations to Dr. Huimin Lei, a postdoctoral research fellow from Tsinghua University working at Pacific Northwest National Laboratory. Lei received the 2012 Young Scientist Outstanding Paper Award from the International Association of Chinese Youth in Water Sciences (CYWater). The award is given annually to one prestigious paper author who is under the age of 35 years. 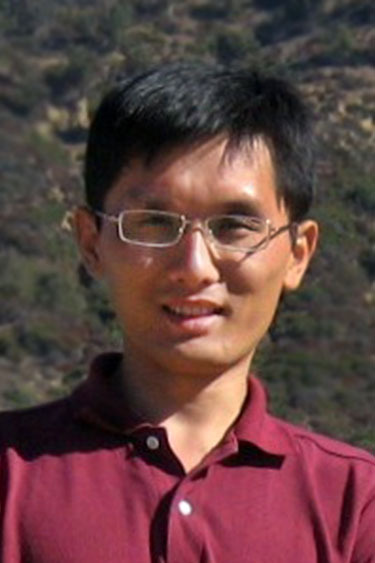 "Dr. Lei's article focuses on developing a broad understanding of the dynamical coupling between hydrologic and agro-ecosystems in [the] Yellow River Basin of China, and he has made a phenomenal start toward that goal at the early stage of his career," said CYWater Officer Dr. Yang Hong. Lei's paper explained a newly developed eco-hydrological model that was applied to a typical irrigation district where water resources are very limited, in order to predict how crop water requirements, irrigation water demand, and crop yield respond to the changing climate. These findings are used by policy makers for water allocation and cropland management decisions. Dr. Lei is a visiting postdoctoral fellow invited through PNNL's Alternate Sponsored Fellowship program. At PNNL, he is working on the interactions between hydrological processes and the carbon cycle at the global and regional scales, and mentored by Drs. L. Ruby Leung and Maoyi Huang.